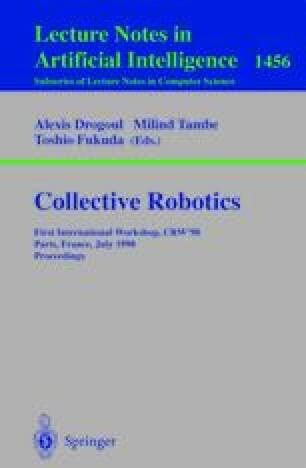 This paper presents multimodal interfaces to task and control multiple robots controlled by an agent-based architecture. For the past few years, SRI International have followed an approach based on the “Coach Metaphor”. In sports or business, coaches are meant to apply predefined strategies to their teams, or, if something goes wrong, to find new means and plans during an ongoing game, so as to retask either the entire team or specific players. This is also the challenge facing a robot's operator. SRI's agent-based framework, the Open Agent ArchitectureTM (OAA), provides communication between the members of a team and the external world. The coach, or the robot's operator, who is an active member of the team, is provided with a multimodal interface that uses pen and voice. The analogy of a coach talking and drawing on a white clipboard representing the virtual world where the players are developing their game reinforces the metaphor. We present several interfaces specifically developed for SRI's robots, and we show an example (controlling robots on a soccer field) where the metaphor matches, one to one, the real world. To clarify our views, we will give an overview of the technologies in use, such as the agent architecture, the speech and gesture recognizers, and the robot controller.